We recommend measuring the emotional intelligence of teachers, administrators, and even parents to support a holistic approach. The SEI-YV, our Emotional Intelligence Assessment, Youth Version, measures five essential “life barometers” (such as achievement and health). 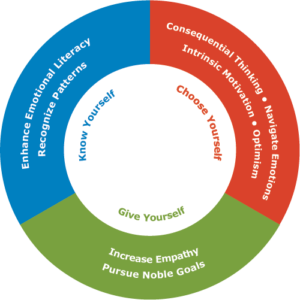 These outcomes are hallmarks of effective implementation of social emotional learning.The SEI, like the YV, puts emotional intelligence into a context of important life and work outcomes by measuring both the competencies of EQ and key success factors. In addition, a systemic implementation will examine the overall school climate. EVS, or Educational Vital Signs, is a normed, validated assessment of school climate. The tool surveys students, teachers, staff, parents, administrators, and other community members about key elements of a safe and effective learning environment. We believe that effective SEL programs are living and evolving, so we recommend using a blend of curricular resources including lessons created by teachers trained to do so. There is a free library of resources and shared lessons on our EQ.org web community site. 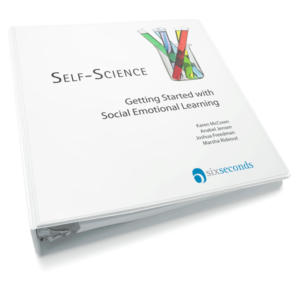 There is additional SEL curricula available from the EQ Store. We also recommend reviewing the free resources for SEL from the inspirED.facebook.com project. This is our free 6-module online course for educators who want to learn about Why, What, and How SEL. The content of iSEL was developed by a community of EQ experts. Visit EQ.org to access iSEL. InpsirED.Facebook.com SEL Toolbox offers lessons for educators to support them to effectively use the resources on the InspirED site. It’s also on EQ.org. To get started with using assessments, Six Seconds offers a 1-day Education Profiler course in various cities around the world. See the event calendar. Six Seconds offers dozens of opportunities each year, both in person and online, to become certified to teach, coach and assess using our powerful processes and programs. We offer the powerful EQTE: EQ Tools for Education, which includes the opportunity to become an EQ Assessor and learn to administer the youth emotional intelligence assessment (SEI-Youth Version, ages 7-18) and the SEI and SEI-360, as well as our school climate survey, the Education Vital Signs (EVS). We have some excellent resources for parents and parenting e ducators. EQ for Families Workshops: Empathy, Emotional Literacy, Optimism and Accountability Workshops. This curriculum series is an excellent foundation for creating a systematic approach to teaching the skills of EQ to parents and caregivers. It is essential for effective implementation that they are enrolled in the vision of SEL, learn a common vocabulary, and work to model the skills for youth in partnership with the school. Higher Education EQ Network – on EQ.org, join a group for faculty, administrators, and students in higher education to discuss the integration of EQ into post-secondary programs. Six Seconds Research and Practice Publications – published articles about the Six Seconds model and how it relates to SEL. Parenting with Emotional Intelligence – Webinar with Annette Goodman – What happens to childrens’ emotional balance when parents are not handling their own emotions skillfully? Developing a Resilient Mindset in Our Children. Meg Price. If you’re not failing, you’re not learning… but we want our kids to succeed, right?? Brainstorm: Power and Purpose of the Teenage Brain: Dan Seigel, MD: Power of the Adolescent Mind. What does neuroscience tell us about supporting teens as courageous, creative, powerful people? We Teach Who We Are.Candice Smith: How do we we recognize who we are, what holds us back and how to transcend these to empower those we teach?